USING A FIRE EXTINGUISHER in the first two minutes of a fire can keep a small flame from becoming a big one. But valuable time can be lost if those two minutes are spent trying to figure out how to use the extinguisher. Used improperly, your efforts could make the fire worse. When in doubt, get out! Don't try to fight a fire that is too big, spreading too rapidly or blocks your only exit. Leave immediately and call 911. Here are some basic tips for proper fire extinguisher use. Review them BEFORE you need them. We've included some easy tricks to trigger your memory when "the heat is on". A im the extinguisher nozzle at the base of the flames. S queeze the trigger while holding the extinguisher upright and steady. S weep the extinguisher from side to side covering the entire area of the fire. "A" is for ordinary fires involving solids such as wood, paper and cloth. "B" is for flammable liquids such as paint thinner or grease fires. 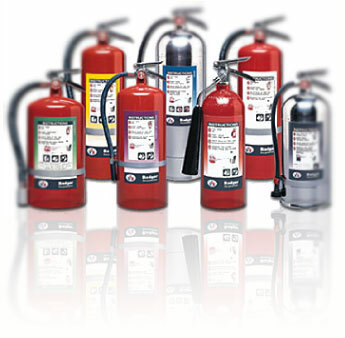 WE OFFER FREE, hands-on fire extinguisher training to businesses and residents within our service area. To inquire on class availability or schedule a class for your group, call 253-863-1800.